The dream began with me in the wings, waiting for my introduction. It wasn’t a large theater — a high school auditorium, maybe, or that of a community college. It seems unusual now that the headliner should have been on stage introducing his own opening acts, but in the dream I thought nothing of the fact that Bob Hope introduced me for my stand-up comedy set. There was to be another comedian after me — a bigger name than me but one I can’t recall — but Bob Hope nevertheless introduced me. Another peculiar aspect of the situation was that Mr. Hope sat at a piano for the introduction, as a show-business orchestra conductor might. 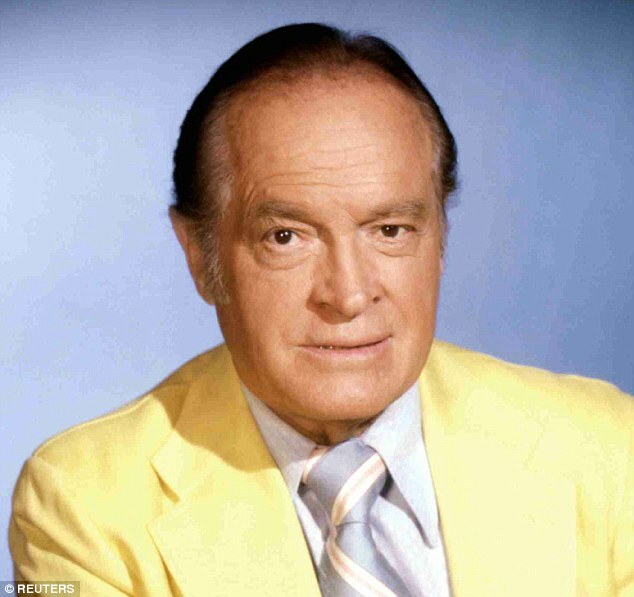 To the best of my knowledge, Bob Hope never performed from a piano bench in real life, leaning in to the microphone like Peter Allen or Elton John might have, but in the dream it didn’t give one a moment’s pause. The orchestra members’ seats were empty. I began my set with a few throwaway jokes that I can’t remember now, but the audience appeared to like them. A few minutes in, however, a member of the crowd launched a running stream of commentary, not so much heckling as, well, commenting. I did not in the dream mind the commentary, in part because it was Dennis Miller making it and I recalled in the dream that he had behaved pleasantly toward me those times I met him in non-dream life. The dream’s time frame was modern-day, based on my and Dennis Miller’s appearance. Bob Hope, however, was a 1960s or 70s Bob Hope, of the era when you wouldn’t have been surprised to see him onstage with Lola Falana or Joey Heatherton, or maybe the exquisite Ann-Margret. As I stood in silence, Dennis Miller in the third row looking at me and Bob Hope a yard or two away on the piano bench doing the same, I mentally ran through some jokes I know, scanning them for something suitable. But everything was vulgar, and for some reason I didn’t think going blue was a good idea in that high school, or possibly community college, auditorium. After a minute or two of the painful silence, I turned and exited, stage right. I gave a little wave to Mr. Hope as I withdrew, and he waved back, smiling kindly. And then I woke up. My dreams often don’t make sense, and this one caused no distress sufficient to make me worry, but the stand-up comedy part vexes me a bit. Never once in my life have I thought of doing stand-up comedy. 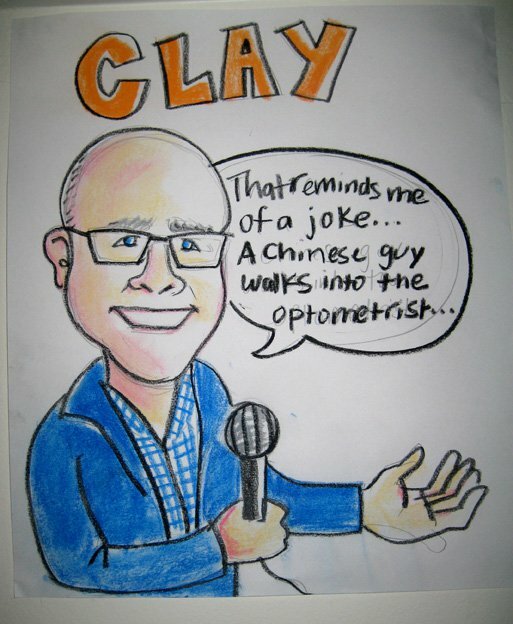 Then again, my friend Matt drew this picture of me one night after I held forth at a party at his place. Maybe he knew more than I did.